Gear pump filler machine suitable for Oil , Agro chemical , pesticide all kindly of free flow liquids. 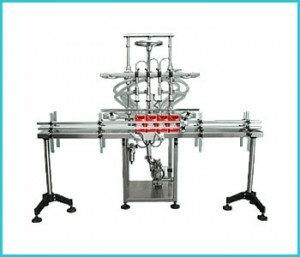 Hazardous filler machine can be built for Hazardous Location operation where risk of explosion or auto-ignition of the products being filled. These systems use intrinsically safe electrical enclosures for class, division, and group D explosion hazard locations. The entire operating system with visual display for user friendly control of all conventional filler operations.